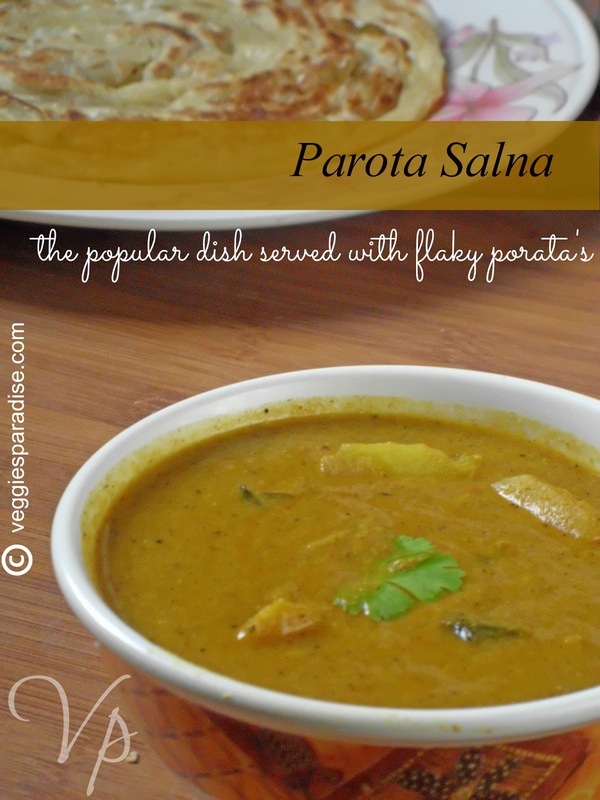 Parota Salna - Parota's are very popular all over the world and the combination of parota with salna is one of the famous food you can see in all the road-side restaurants of South India. 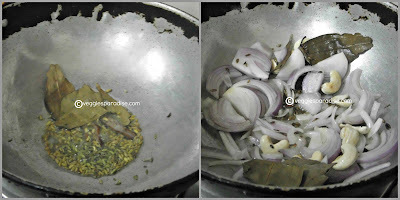 So today's recipe is going to be Salna (or) chalna.The ingredient list may seem a bit daunting, but the final dish is worth it. so lets start with the preparation. Cooking time : 35 - 40 mins. Heat 1 tbsp. of oil in a heavy bottomed pan. Add the spices to the pan, fry for a minute. 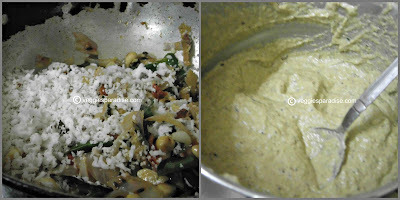 Add the onion and cashewnuts ,fry until soft. 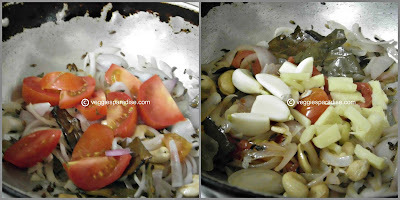 Add tomatoes , ginger ,garlic and fry for few minutes. Add the green chillies and fresh curry leaves. Followed by coriander leaves and keep frying for a couple of minutes. 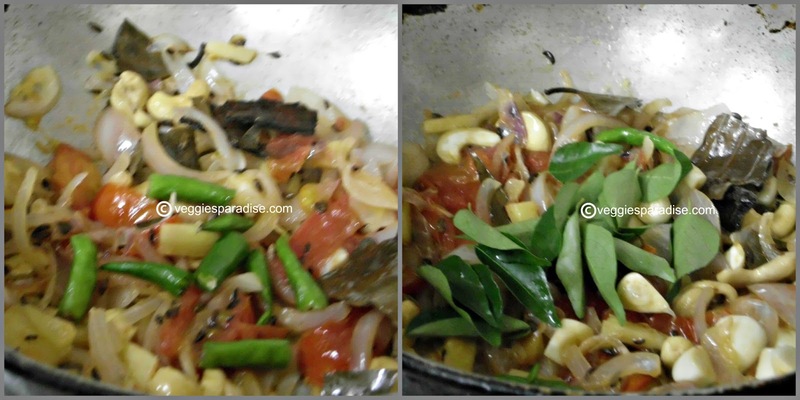 Finally add the grated coconut , stir it once. Take off the heat and allow it to cool. Add little water and grind to a fine paste in a blender. Reserve. Heat oil in a pan, add the onions and fry until soft, Tip in the tomatoes, curry leaves and potatoes. Gently stir in the curry paste. Mix in the spice powder and salt. 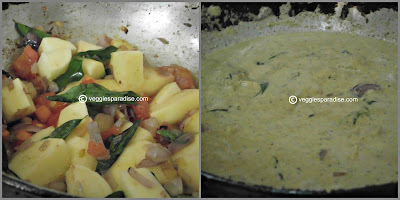 Gently stir in the curry paste and simmer for a couple of minutes to blend well. This gravy should be fairly liquid ,but have some consistency,add water according to it.Cover and cook until the potatoes are cooked through,keep stirring in between. 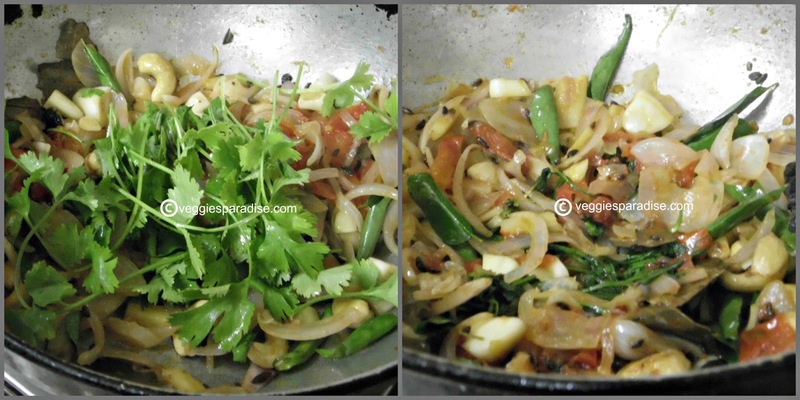 Remove from heat and garnish with chopped coriander leaves, if desired. 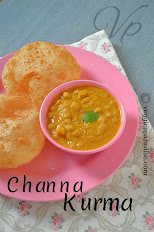 bful pics n wonderful combo..
wonderful recipe, a good combo. Wow that looks so delicious, luvly clicks. Very very yummy and nice dear, this is my first time here. Thank you for visiting my blog as well. I am happily following you. yummy lip smacking and finger licking salna with an awesome presentation. looks so delicious. Happy that you left a comment in my space. I am following you now. Very tempting, want to have some now..
wonderfully prepared gravy, love it. Delicious side dish for Parotta..looks yum! yummy inviting side dish for parottas!! Delicious and flavorful salna.. Perfect side for parotta.. Love it! Looks delicious. The ? I have is did you make the parota too? That is really cool. 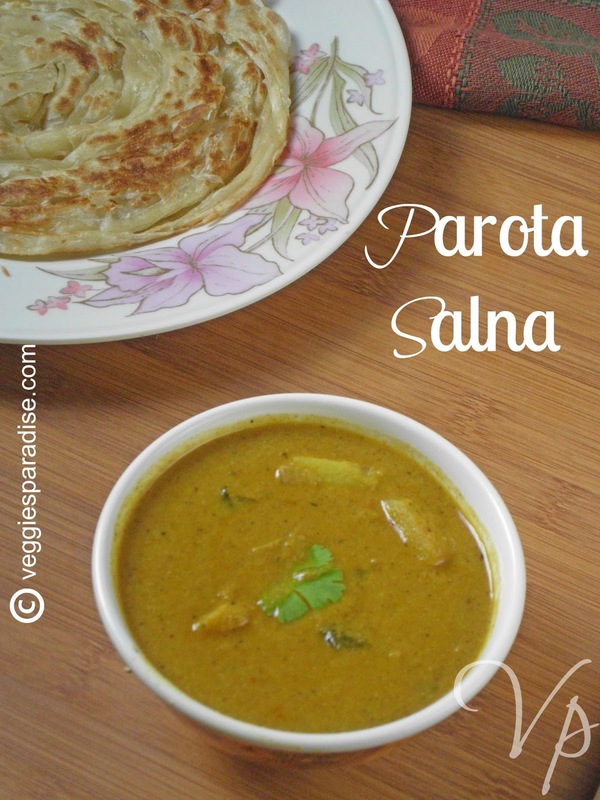 paratha salna looks delicious and yummy. i just love this combo dear.. Perfect Color and texture..really tempting...tonight's dinner is going to be chalna.. This dish looks super delish to make based on the ingredients that I can see and the procedure. 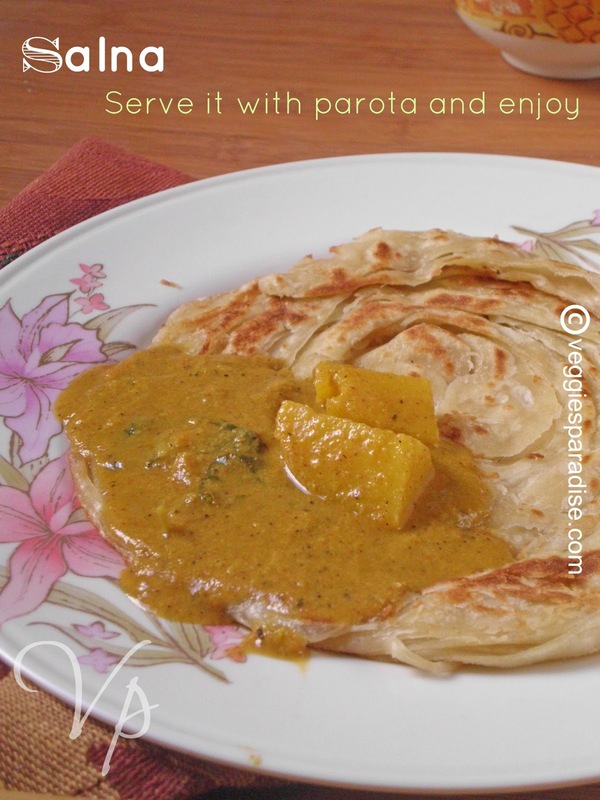 Where did you learn this?/ IS this what your mom does or from a parotta kadai? 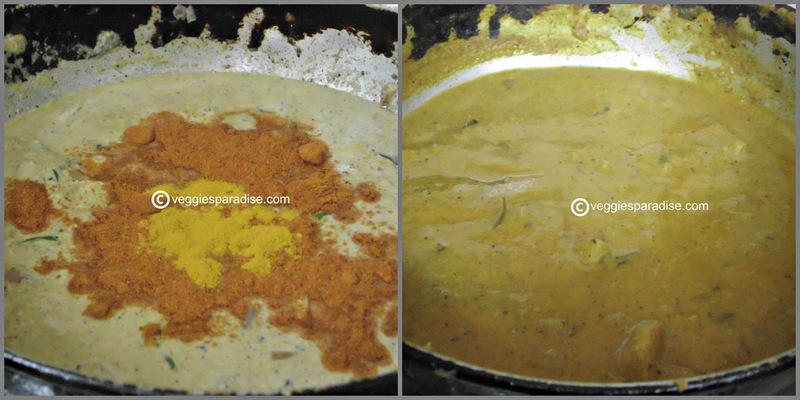 I am curious as I am always wanting to find out how these guys at the parotta kadai make it! Yummy! Looking Delicious !!! Nice Job !!! Thanks for visiting my site.. Happy to follow you.. You have a wonderful space. 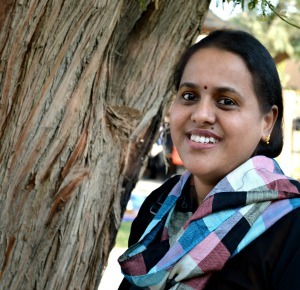 Will come back to see your updates.. Salna looks yummy. Neat presentation and excellent clicks.